Deep-fried pickles, chicken pot pie, and plates of nachos. These are just a few food options that usually come to mind when one is to mention bars in Toronto. However, things are changing. 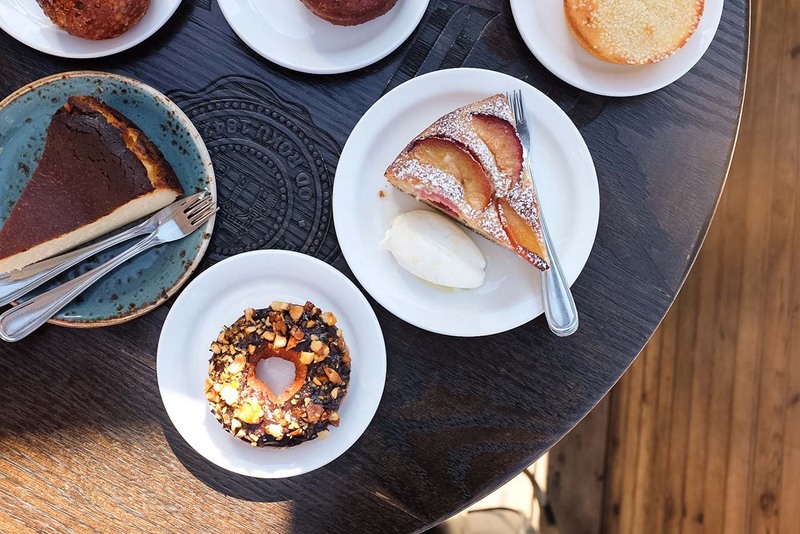 In the recent years, Toronto’s food scene has open the floodgates with new flavours and innovations rivalling Canada’s previous food capital, Montréal. Toronto’s bars are starting to rise to the occasion and are becoming fantastic destinations known equally for their food offerings as well as their alcoholic beverages. Here are four bars worth checking out on a trip to the city. Unbroken Möbius strips of rich mahogany envelop the space, creating an environment that is simultaneously luxurious yet inviting. The designers behind this beautiful space? A locally-based firm named PARTISANS. Much like the decor of this bar, the menu offerings are a delicious wonder. Inspired by Spanish cuisine, chef Grant Van Gameron created a menu that rivals some of the best restaurants in Toronto. The Smoked Mackerel and the Shrimp and Romesco Pintxos are a must try and a favourite among locals. But the sweetest part of this bar is found on its dessert menu. 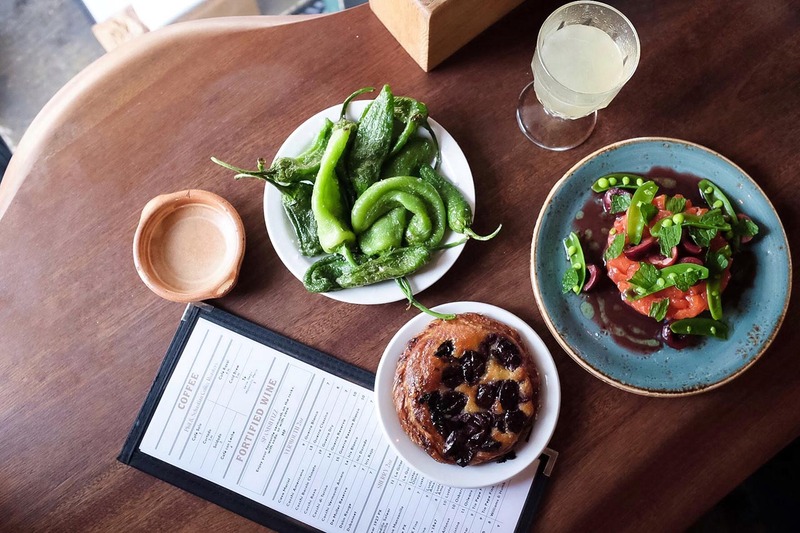 Bar Raval has an assortment of mouth-watering desserts such as the doughnut-like Crema Catalana and rich cheesecake, but act fast! The treats are limited in quantity and always in high demand. Contrary to most institutions, Bar Fancy’s location doesn’t scream for your attention as you pass by. 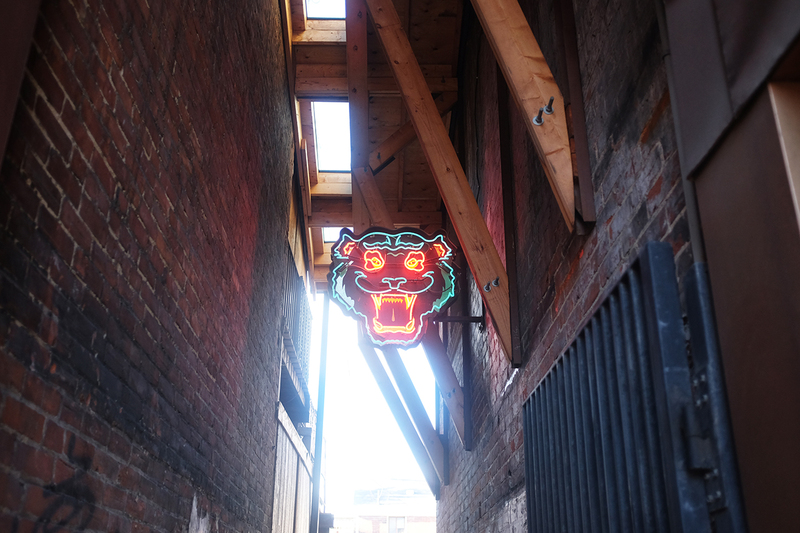 If anything, only the people who have heard of it would know to look for the neon tiger head hanging in the middle of an alley. The decor is minimal with a wide variety of flora and both the drink and food menus are uncomplicated and self-explanatory. 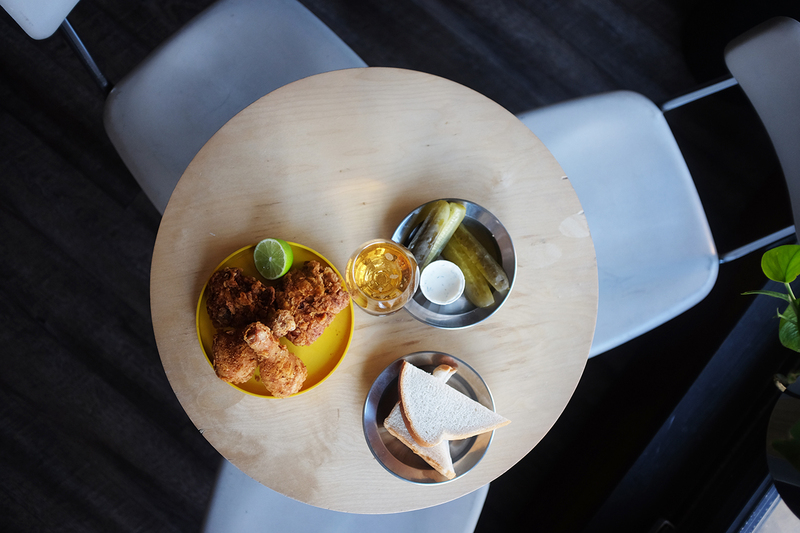 Regulars know to order the fried chicken plate which is definitely one of the best in the city. Make sure to drop by for their Happy Hour (5-7pm), where oysters are half priced and the fried chicken is $2 a piece with the purchase of a drink. If you’re just stopping in for a drink or two, Fancy’s beverage list includes a fantastic bottle of crisp and smoky cider that is perfect for sharing between two people. Located at the corner of Ossington and College, this bar may be the greenest of the four options. 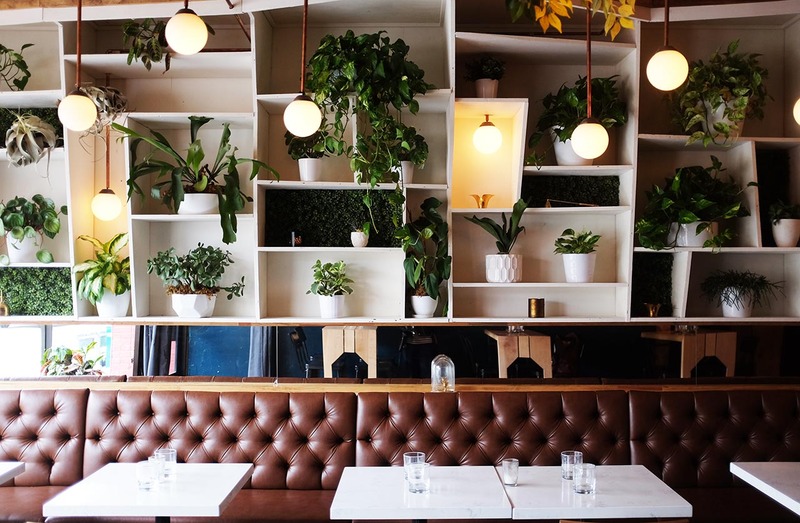 The bar is filled with a multitude of potted plants which gives the space a beautiful organic feel. After scanning through its vast collection of greenery, you’ll find that the menu is short and savoury, featuring Pray Tell’s best sellers such as the Roasted Garlic and Grilled Sourdough plate and the Pocket Pizza Supreme. Just like its food menu, the cocktail menu offers up a refreshing and easy to read drink menu. For example, try the Justice Beaver, a marriage of vodka, cucumber, ginger beer, celery, lemon and sugar. We almost guarantee you’ll be ordering another round. With its unpretentious rustic charm and friendly staff, the Walton is extra cozy. The classic feel of the design, along with numerous portraits of our dear Queen Elizabeth II, makes for an inviting atmosphere. 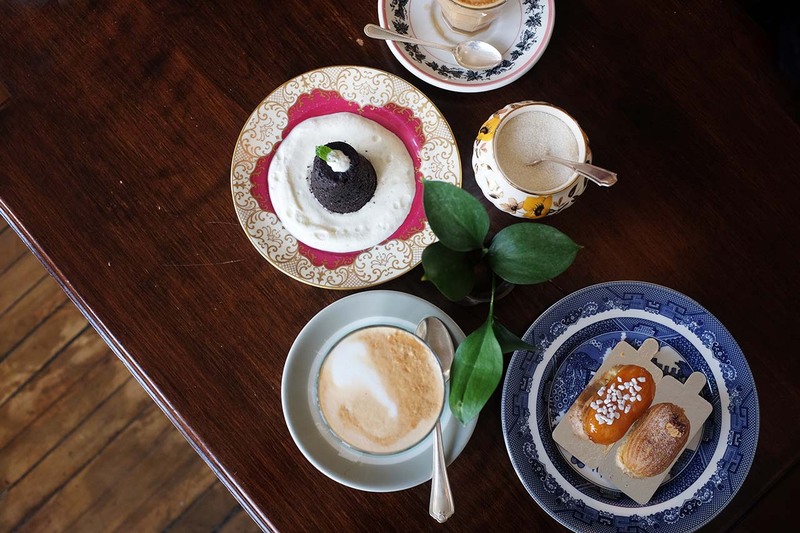 When the institution acts as a café, choose from sweet scrumptious treats, along with an assortment of teas and coffee. 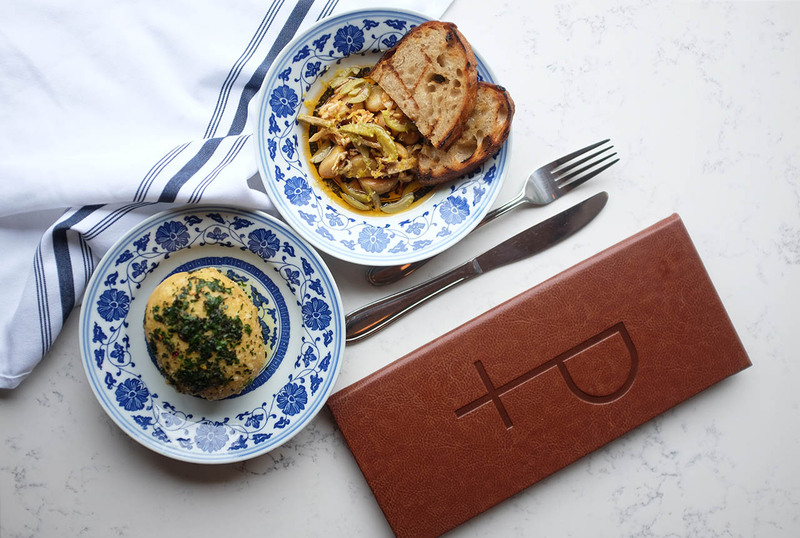 At nightfall, one might find Scandinavian inspired dishes such as pickled herring on the menu. Along with your usual fare of beer and wine, the Walton is well-equipped to quench your cocktail thirst with options like the Rosethorn, a rose gin, wormwood bitters and Cinzano sweet vermouth drink topped with dried rose petals. Toronto has just begun scratching the surface of its culinary success, and with new chefs comes new opportunities to raise the bar even higher. Stay tuned for more interesting food scenes Toronto is serving up.